Hometown: Delran, New Jersey/Philadelphia, Pa.
Unit: 31st Security Forces Squadron, Aviano Air Base, Italy. 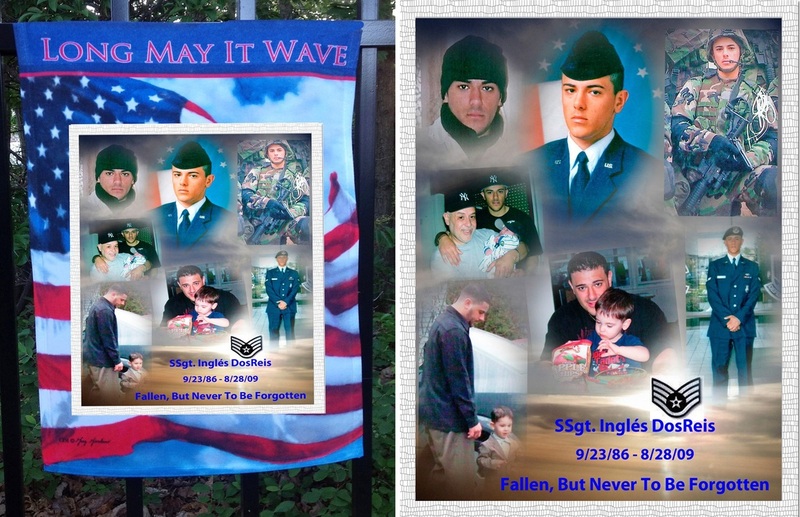 Birth: September 23, 1986, Elkins Park, PA.
Ssgt Inglés DosReis died tragically on August 28, 2009, while serving at Aviano Air Base in Italy. He enlisted in the Air Force in February of 2005, immediately following his graduation from high school. He was a member of the 51st Security Forces Squadron stationed out of Osan Air Base in South Korea from August 2005 until August 2006, before he was transferred to the 31st Security Forces Squadron at Aviano Air Base to serve as an installation entry controller. He deployed to Iraq in August 2007 and remained there until February 2008. 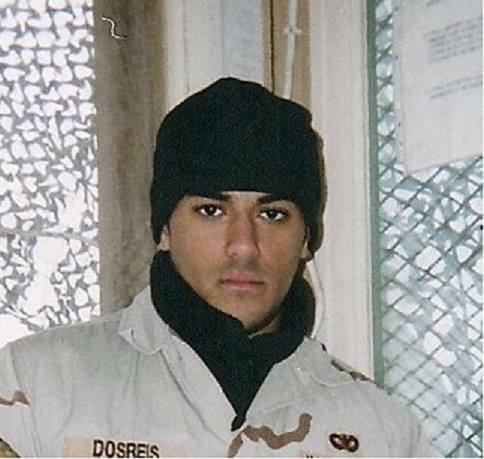 While serving in Iraq he received the Army Achievement Medal. 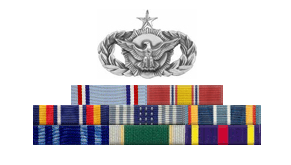 When he returned to Aviano Air Base he served as a certified desk sergeant and was posthumously promoted by the Air Force to the permanent grade of staff sergeant in August 2009. 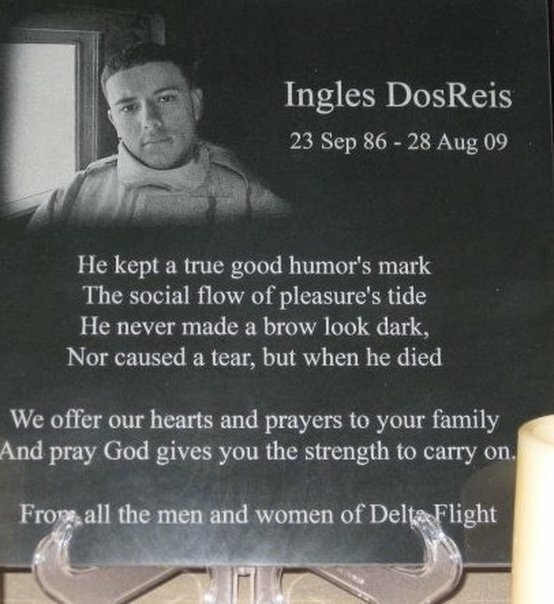 Ssgt Inglés DosReis was killed in an automobile crash, just five minutes from where he lived with his family. Inglés is not remembered though, for his tragic death, but for the life he lived and the people he blessed. Born in Elkins Park, PA, on September 23, 1986. He was given the nickname "Money." He lived most of his life in North East Philadelphia, graduating with honors from Roman Catholic High School. Inglés didn't just enjoy playing sports he also loved watching them. A 'die hard' Yankee fan, he went to countless games with his father and proudly donned a Yankees hat wherever he went. 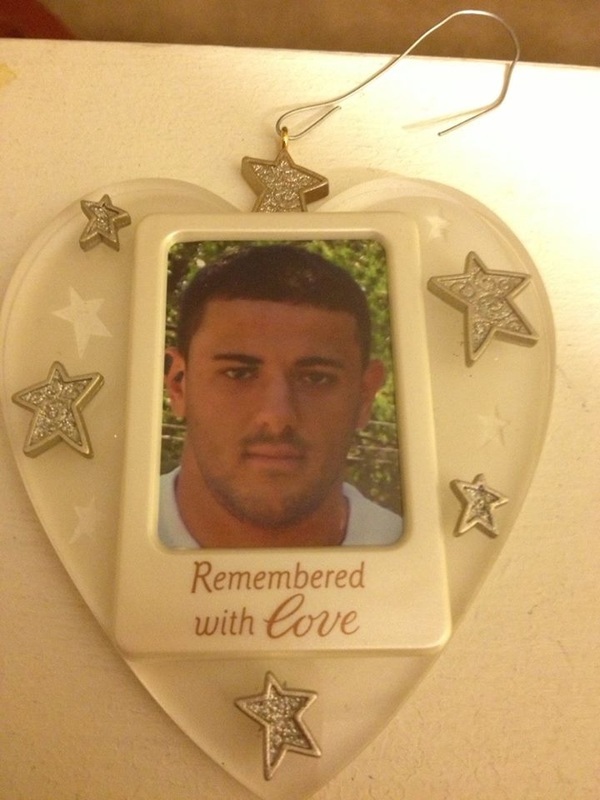 His family describes him as having a kind soul and “jokester” humor. He was adored by the family he left behind, including his wife, son, mother, father and sister and is deeply missed daily. 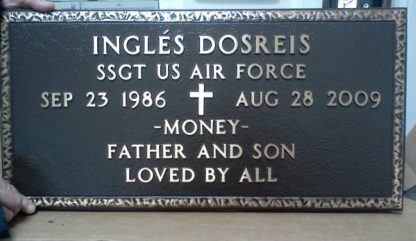 Ssgt Inglés DosReis was cremated and is now buried at Holy Redeemer Cemetery in Philadelphia. As a member of the Air Force, he showed his loyalty and commitment to freedom and peace and he is honored for his service and sacrifice for our country. He will never be forgotten. Wife Katherine and son Christian.